Pradas Glow Tanning mouse was developed specifically for self-tanning. It is easy to use and gives you a great tan depending how long you keep it on. Pradas Glow’s Sol Solution Sunless Tanning Mousse is your go to solution for radiant sun kissed skin. 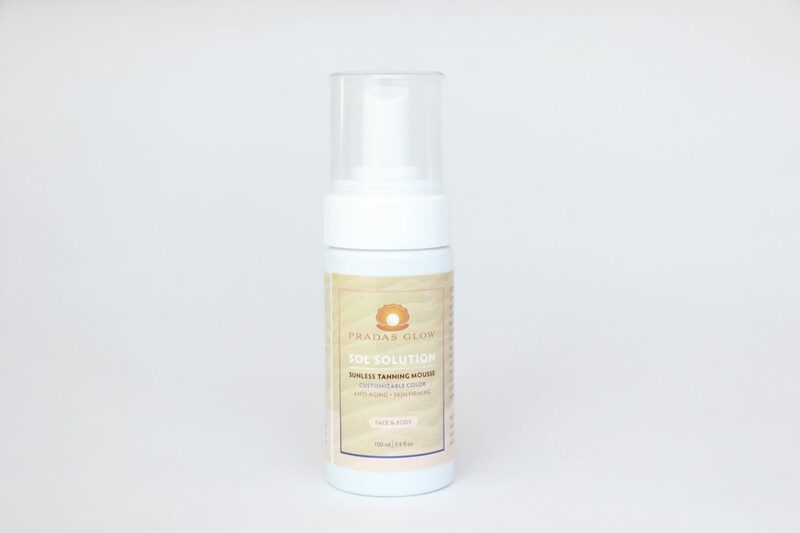 You can achieve your desired shade of golden bronze with this revolutionary express self tanner formula which develops according to how long you leave it on for. The fast drying formula allows the color to develop with comfort, without any prolonged sticky or greasy feeling. Apply the mousse to clean and exfoliated skin using a mitt for optimal results. Begin the application process at the feet and work your way up in circular motions. The lightweight hydrating formula, moisturizes the skin, which allows the product to glide on easily and blend effortlessly; for the perfect customized sun kissed tan. The unique formula combines anti-aging and skin firming properties to plump and rejuvenate the skin. Aloe’s anti-inflammatory properties that are known to effectively heal chronic skin conditions, creates a beautiful canvas for the perfect tan. It also includes caffeine to tighten skin, Borage Seed Oil’s essential fatty acids to restore skin’s healthy balance, making it soft and supple to the touch, Seabuckthorn oil to calm irritated skin, repair damaged skin, and sooth symptoms of Rosacea, eczema and psoriasis. 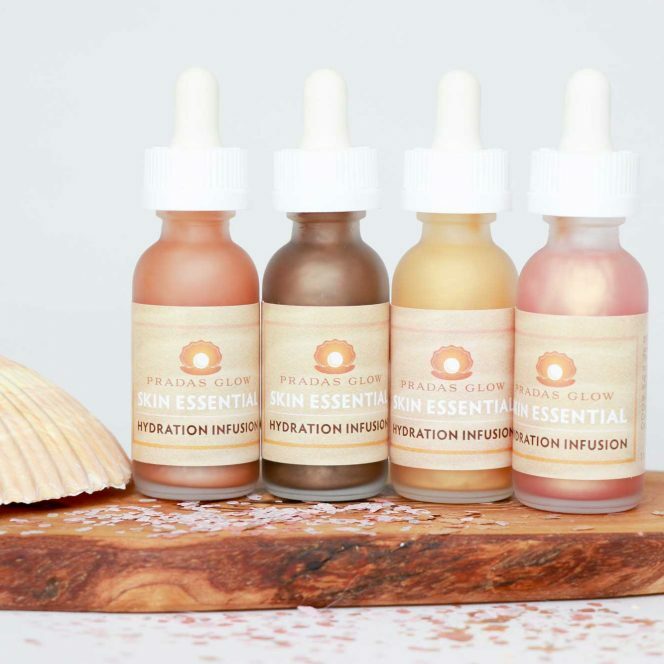 You can achieve your desired shade of golden bronze with this revolutionary express self tanner formula which develops according to how long you leave it on for. The fast drying formula allows the color to develop with comfort, without any prolonged sticky or greasy feeling. Once you shower, the color will continue to develop over the next 24 hours for a gradual, flawless and natural looking tan.